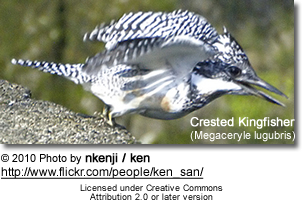 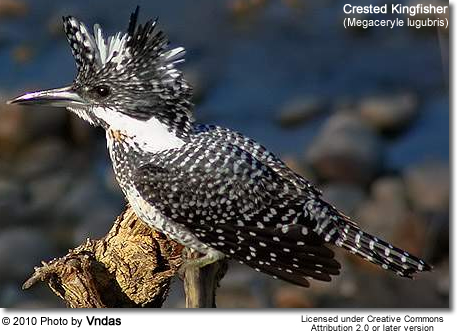 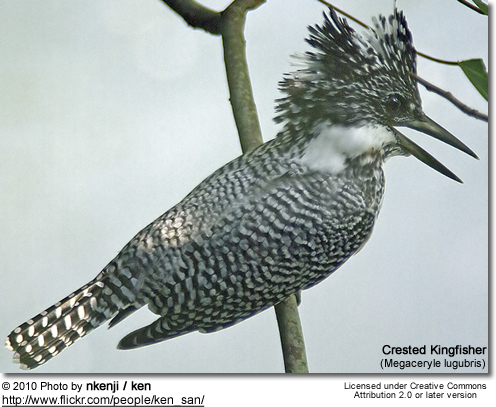 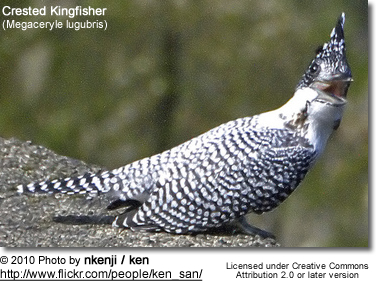 The Crested Kingfisher (Megaceryle lugubris) occurs naturally in the Himalayas and foothills of North East India, Bangladesh, northern Indochina, and south and east China. 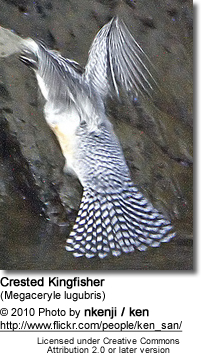 It inhabits mountain rivers and larger rivers in foothills. 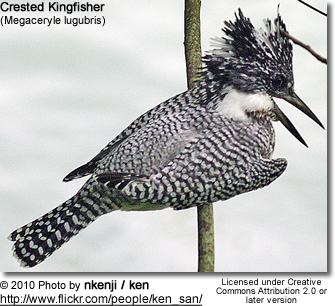 This kingfisher is a very large, averaging 16 inches or 41 cm in length. 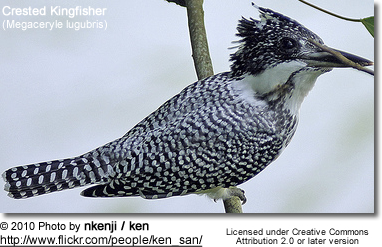 The plumage is black and white, with evenly barred wings and tail. 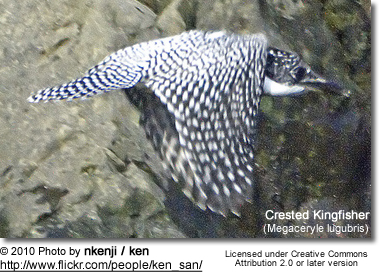 It has a spotted breast with the occasional brownish-red patches.